I absolutely love the smell of lavender because it is so relaxing and soothing to the mind. 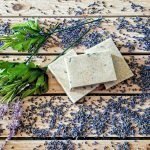 We make alot of products in our home that include lavender.We have made sugar scrub, lotion, body butter, and soap. 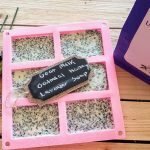 One of my favorite products with lavender is a homemade lavender honey oatmeal soap. It is a goat milk based soap. You can use other soap bases such as shea butter but I prefer goat milk. This soap works wonders for sensitive skin. It is so easy to make that my 5 yr old and 11 yr old are the ones who make it for the family. Acne: Honey is a natural antibacterial. With its antibacterial properties it’s great to treat and prevent acne. Acne: Oatmeal contains zinc that is said to reduce inflammation and kill the acne-causing bacterial action. Dry skin, Eczema, Psoriasis: Oatmeal helps to balance your skin’s pH levels, which helps to restore your skin’s natural pH and soften skin. PH being unbalanced can cause irritation and itching. Th oatmeal can help balance PH and reduce irritation. It helps to reduce inflammation and protect the skin from external irritants. Exfoliating: Oatmeal’s saponins (chemical compounds found in certain plants) have amazing exfoliating properties. Oatmeal can aid the in removal of the oldest dead skin cells on the skin’s outermost surface. Relaxing: Lavender oil has been thought to help with anxiety, insomnia, depression, and restlessness. 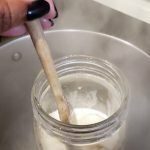 Making soap can be difficult but I use a super easy method. So easy that my boys usually make the soap. Here are my tips for making it easier. 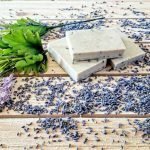 Purchase the soap base you want to use. Some people make theirs. I prefer using a good quality soap base. Te one my son used in this recipe was Goats Milk Melt and Pour Soap Base . It cost $15.95 on Amazon. Leave the soap base out so it is close to room temp. This makes it easier to cut. 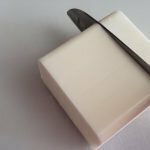 Use Silicone Soap Molds . It makes it much easier to pop the finished soap out. Microwave the soap to melt it. 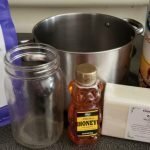 You can use a double boiler, and we have used the mason jar in a pot method. Using the microwave takes about 3 minutes and is less mess because you can just use the bowl you microwaved it in. 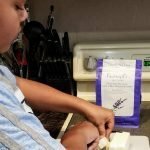 Use a Organic Culinary Grade Dried Lavender . 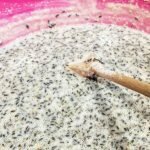 This will ensure safety for your body and you can use the lavender for other recipes. If you spill just let it dry. Once it is dry you can use a spatula or something to scrap it up. It’s much easier that trying to wipe it up. 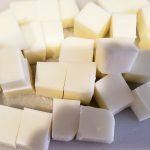 If you are using a double boiler set it up and melt the soap cubes. If you are using a mason jar place the soap cubes in the mason jar. Put the mason jar in a pot of boiling water about 1 inch deep. Continually stir soap until it melts. 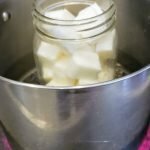 The EASIEST way and how I do it is put the soap cubes in a microwave safe bowl. Microwave in 40 second intervals stirring in between. 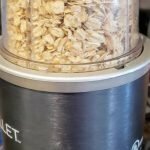 While soap is melting place oatmeal in food processor and grind to desired consistency. 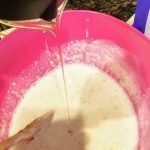 Pour honey and ground oatmeal in the melted soap and stir. 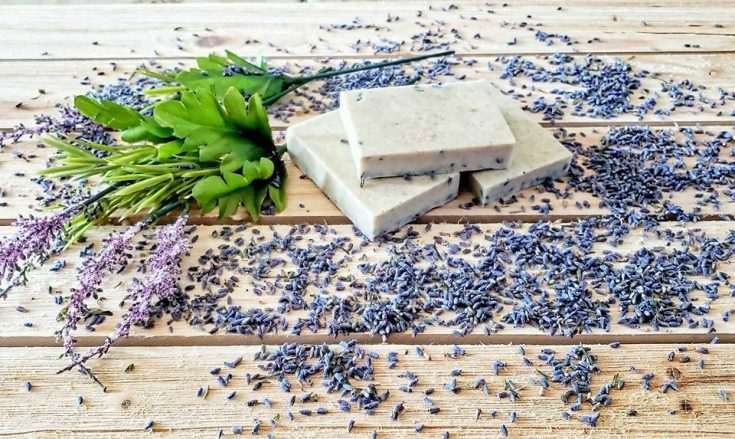 Add lavender to soap base and stir. Let sit until hardened. This can be up to 3 hrs. A quick way to harden if you don't want to wait is to pop the molds in the freezer. This will harden the soap in about 30-45 mins vs hours.